Tired of Looking at Those Dirty Carpets? deep down clean you've been waiting for. At Affordable Joe's, we're committed to providing the quality service and results you need at a reasonable price. 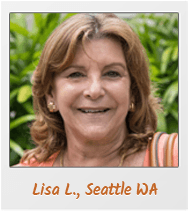 As Seattle's most affordable carpet cleaning company, we invite you to browse our ongoing specials and challenge you to find a better price, better response time, or better results. We're confident that we outshine the competition in every way! Using the latest in cleaning technologies and equipment, Affordable Joe's can extend the life of your carpet by years and maintain that "Like New" appearance once again. Spots and stains are no problem for us here at Joe's, as we stay up to date on changing fibers and cleaning solutions to offer you, our customer, the pinnacle in advanced stain removal. When it comes to keeping your carpet and furniture clean, trust Joe in Seattle to deliver superior results at an affordable price! 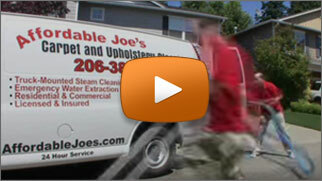 Why Choose Affordable Joe's for Your Carpet Cleaning Needs?